Khalid Sheikh Mohammed is a Pakistani in U.S. custody in Guantánamo Bay for alleged acts of terrorism, including mass murder of civilians. He was charged on February 11, 2008, with war crimes and murder by a U.S. military commission and faces the death penalty if convicted. 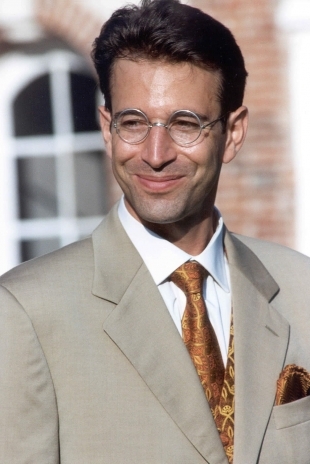 At a hearing to determine whether he was an "enemy combatant" who should remain in detention at Guantanamo Bay, he also reportedly said he had personally decapitated kidnapped US journalist Daniel Pearl in 2002 and admitted to a role in 30 plots. 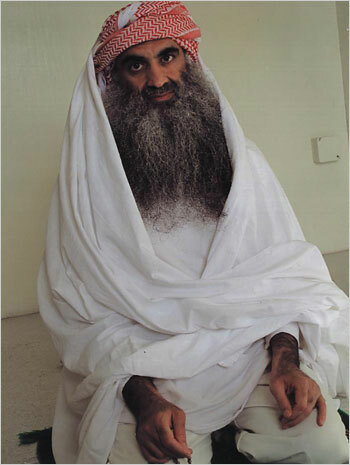 He was captured in Pakistan in March 2003 and sent to the US detention center in Cuba in 2006. He was indicted in 1996 with plotting to blow up 11 or 12 American airliners flying from south-east Asia to the United States in January, 1995. He said he had used his own "blessed right hand" to behead Daniel Pearl, according to Pentagon papers. 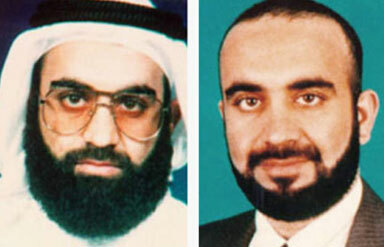 Official documents have shown that Khalid Sheikh Mohammed was subjected to waterboarding - or simulated drowning - 183 times in 2003, before this interrogation technique was banned. Khalid Sheikh Mohammed is believed to have been born in either 1964 or 1965 in Kuwait into a family originally from the Pakistani province of Baluchistan, which borders Afghanistan. He graduated in 1986 from North Carolina Agricultural and Technical State University in the US. In the late 1980s he moved to Pakistan's north-western city of Peshawar, where he became acquainted with Bin Laden.